“Spiritual Depth Throughout” – a Review by Peter Silas. The Heart is Deceitful Above all Things by J.A. Miller is a Christian Fiction work that will make you keep wondering and hoping for what comes next. 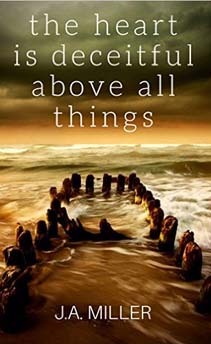 Set in the past, on an island and of a people that actually do exist, it presents a very common battle that we all struggle with: a fight between what we want, what God wants for us, and what we think God wants for us. Given that one opportunity where a prayer may have been answered and you felt a decision needed to be rendered, what would you do? Would you truly be ready to answer His call? That’s exactly what Ella is faced with. And it has the possibility of affecting those around her. With each character that J.A. Miller brings to life, there is a bit of all of us to be found. There is just enough to reach into our own souls and hearts and experience the joys and fears that wax and wane throughout the plot. And yet, we don’t forget that God is right with us the whole time. With distinct voices and thoughts, there is always a level of intrigue and wonder that sparks religious and moral curiosity. We can all relate to a group of people who have mostly given up, become disjointed or simply sarcastic and vindictive. But among the darkness surrounding, more often than not God, the answer, is right in front of us and we must have faith to see it. Throughout this book, I often questioned whether the devil was just tempting us. Should I be satisfied with what God has given me? Should I be careful what I wish for? Action, emotion and creative plot kept me guessing. But this you will come to know: sometimes we must lose everything to be filled up with everything we want to hear from and have of Him. Furthermore, sometimes it is entirely obvious after the fact. I highly recommend this book to those looking for an entertaining read, or even to be filled up again with and reminded of the basic tenets of faith. “A Diamond in the Rough” – a Review by Peter Silas. 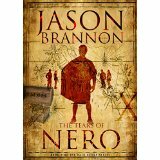 The Tears of Nero by Jason Brannon is an epic length novel that will take you into the depths of spiritual hardship and rise you up into the light of everlasting peace. “Saw” meets “C.S. Lewis” meets “Gilligan’s Island” – this book takes a suspenseful, twisting edge and merges it into a world of originality, humor and the invisible. It’s a combination of nothing you’ve read before. And yet, with all the good stuff that makes you want to keep reading, Jason Brannon also effortlessly centers his writing around free will and prayer; forgiveness and compassion. You’ll keep His overarching plan in mind throughout. “There was a purpose to all I’ve gone through. There was a purpose to all you went through too. You just can’t see it yet.” This, along with other powerful statements written by Jason and additionally quotes from the Bible, sums quite a bit of our struggle up but puts us back into a mode where we know we need to be at but often forget: God has a plan, and bad things that can happen not only bring us closer and make us stronger, but also may very well be “a diamond in the rough.” His characters continually are reminded of their misfortune, and often of their misdeeds, throughout the book, but no matter how desolate and hopeless a character feels he or she is always brought back to God’s plan and always can see a light at the end of the tunnel to keep going. The story itself is well written, carefully constructed and is a true page turner. The clearly established voice of the author in only his second book is highly descriptive, and uses playful and comedic ways to help you get to know the characters. I was kept curious with each twist of the plot and was satisfied to learn a bit about the age old question of why do bad things happen to good people. “Hope Through Prayer” – a Review by Peter Silas. The Maze – The Lost Labyrinth by Jason Brannon is a work to be read by all who struggle in weakness and temptation, constantly seeking thereafter for the silver lining of hope that seemingly exists just beyond our reach. We see through reading this that none of us are alone in that we all weave a complex web of sin and disaster without a bit of realization before we are relentlessly climbing out of the deep hole of ignorance – and thus are left to deal with the harrowing entrapment that ensues. audience member, we overcome weakness and temptation through embracing our Lord who is most forgiving in His plan; prayer and humility is given to us in His blessings unto humanity and there is no doubt the Sacrifice is alive and well for us to escape the trials and tribulations that we are chained to. This novel is filled with outstanding metaphors, analogies and descriptive narrative that combines dialogue in unique fashion to inspire emotion. “He took to the air and swooped down to perch on the roof of Adam’s ribs.” Be open to this emotion and you will surely be grounded in what you may have forgotten is most important in your journey toward Him. My favorite topic is in fact spiritual warfare, and the author here hits the nail on the head by linking visible happenings with the invisible forces – of which are both just and vile – to everyday, seemingly trivial events. It is time to turn to prayer, my friends. “The Piper’s” ready to play you a tune; to what emotions it should inspire you shall surely discover.